Here’s our quick-start guide to getting set up with Process Street. It’ll walk you through signing up, completing your profile, inviting your team, creating a process and tracking your team’s work. Time to get into the meat of Process Street – documenting, running, and tracking your processes. First up, you should be documenting a process for anything you do more than twice. Next, to start creating systems for your business and collaborating with your team, create a template – this is what we at Process Street call a process. 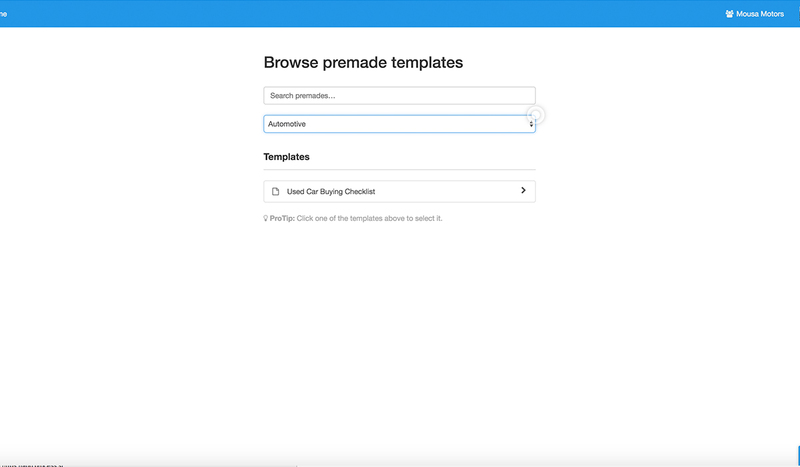 Unless you’re documenting a company-specific process, we would highly recommend checking out our premade templates first to see if we have something you can use as a starting point. Everything from client data backup to finding a sales lead’s email is already made for you. 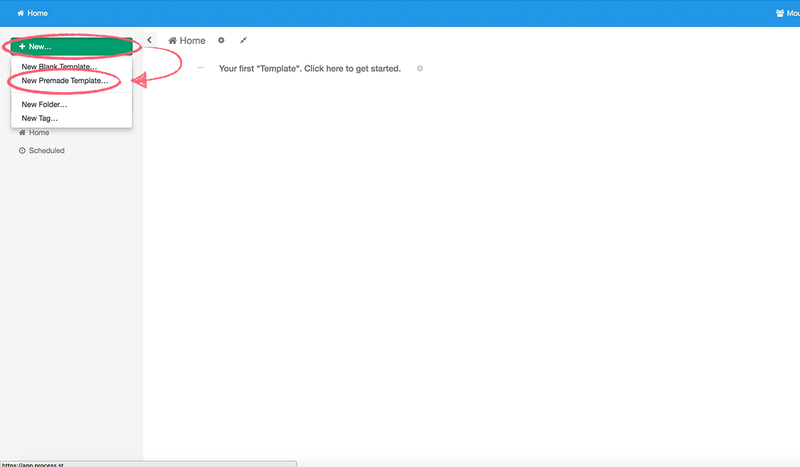 Either way, to create a new template go to your in-app dashboard and click on the “New” button in the top left-hand side of the screen. After that, select the kind of template you want to create (for this example, we’ll make a premade template). You can either search or use the drop-down menu to narrow the premade templates down by industry/team. If you find something you need, click on the template and hit ‘customize’. Give it a title, and hit OK.
Now you can either edit it or go right ahead and run it. Now that you’ve made a premade template, head back over to your home screen and you’ll see that it’s there for you to use. The same goes for when you create a template from scratch. 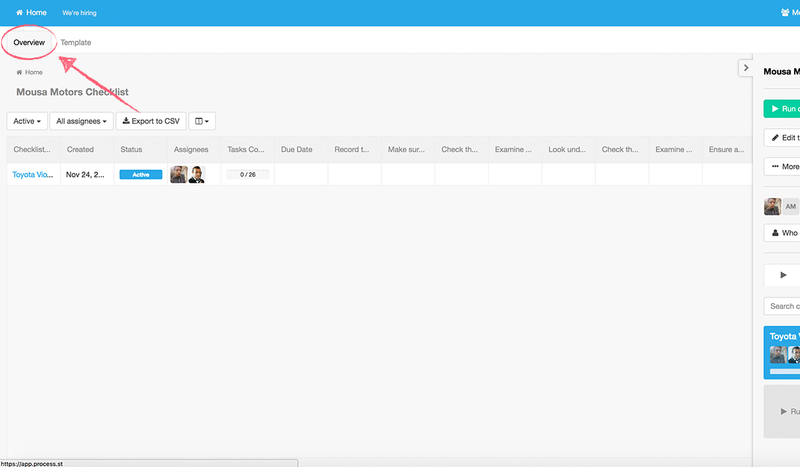 This way, you can document all of your business processes and keep them organized in one place. 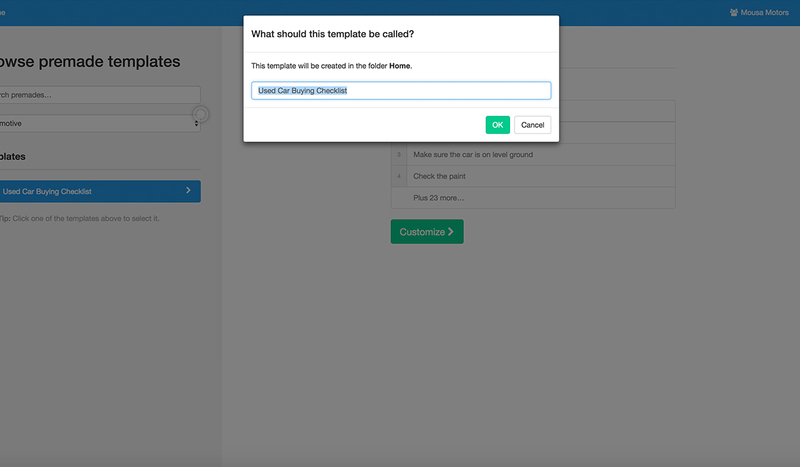 Templates are your documented processes – they are the instructions your team follows to get their tasks done. Checklists, however, are the single-run instances of those templates. Think of the template as a blueprint for a chair, and a checklist as each chair made from that blueprint. Checklists are actionable – you and your team can tick off tasks as they go, making it possible to record your own progress and monitor the progress of others. 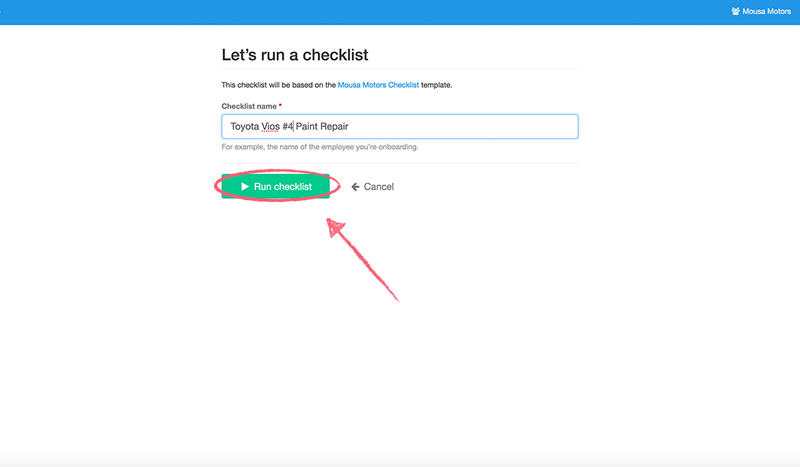 To run a checklist you first need to find a template that you want to run it off. In our case, let’s use the premade template from earlier. 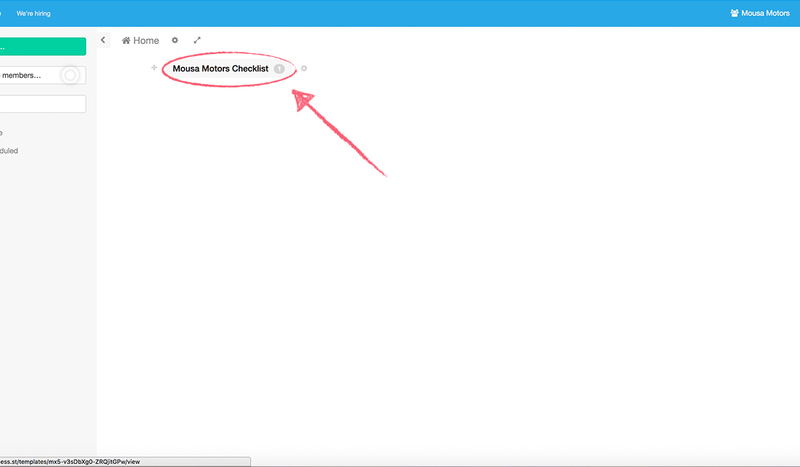 Find the template in your dashboard and click the cog next to its name. 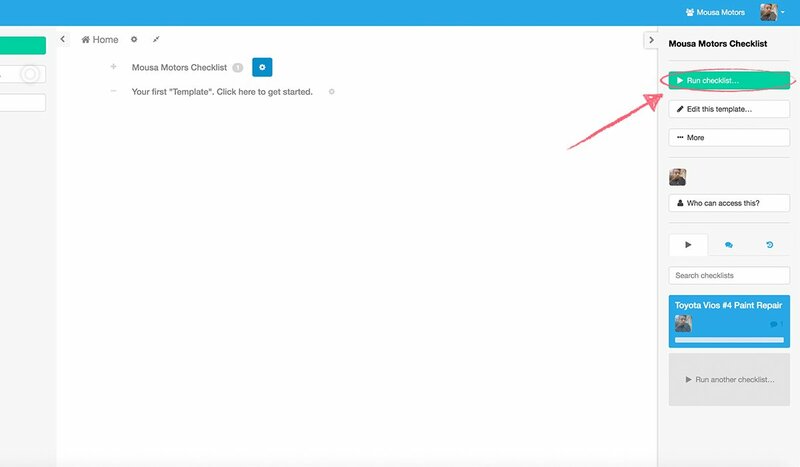 This will bring up the template menu on the right-hand side of the screen without having to open the template. Next, click the green “Run checklist” button at the top of the menu. When naming your checklist you want to call it something which will make it easily identifiable to help with your record keeping. Name the checklist, then move on. Your checklist is now ready to go! 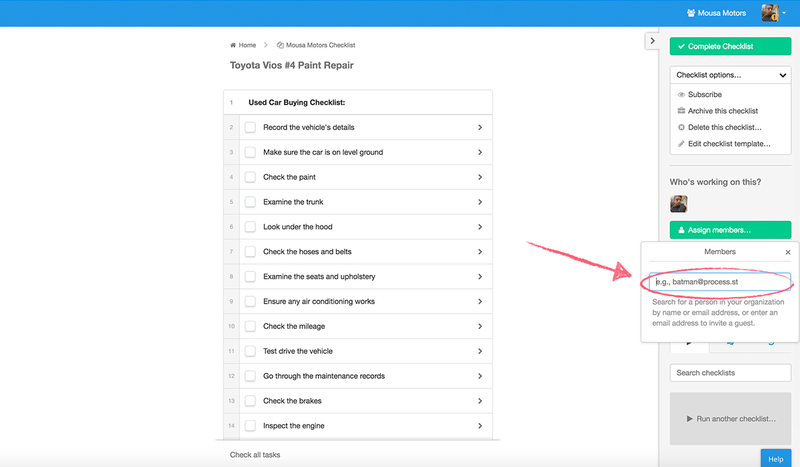 Adding a user to a checklist (or “assigning” them) lets them know what they need to be working on, and also activates email alerts to be sent when the checklist is due. 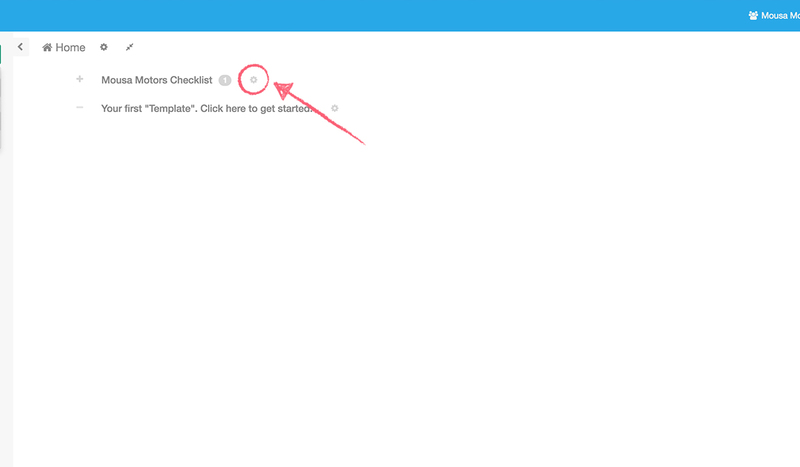 To add a user to a checklist, click the “Assign members” button in the right-hand menu. Next, type their name or email address into the search bar. If they are already invited to your organization then their icon will show – click on it to assign them. If not, enter their full email address and hit “Enter” on your keyboard to invite them to your organization as a guest and assign them. 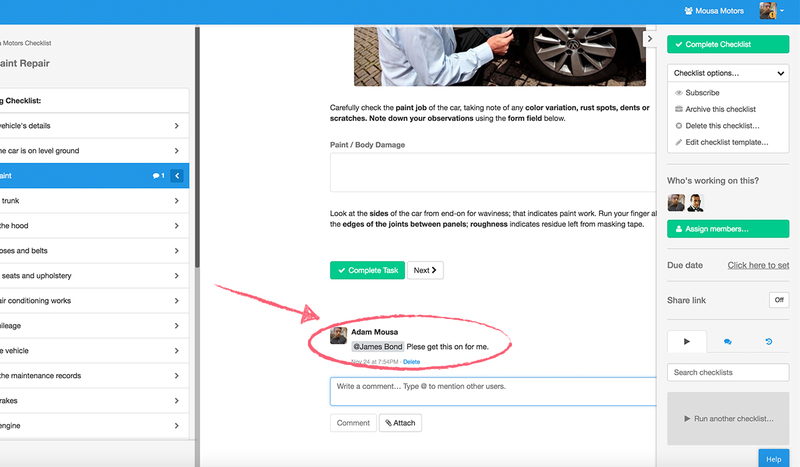 You can also comment on a checklist to communicate with your team by scrolling to the bottom of any task and @mentioning them. Now James knows what he needs to do – an @mention sends an email alert to the person mentioned, so there’s no way that he’ll miss it. Comments and @mentions are all well and good, but to make sure that James knows what he needs to work on we can assign him to an individual task in a checklist. 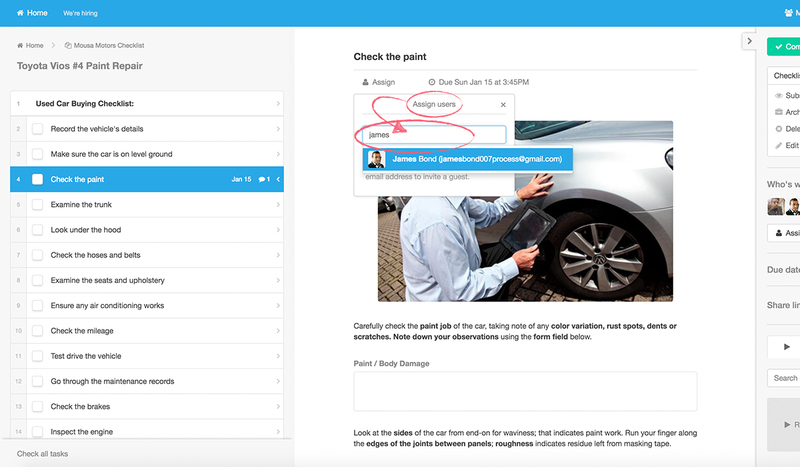 To do this, have your checklist open on the task you want to assign someone to – for now, let’s stick to getting James to check the car’s paint in our example checklist. 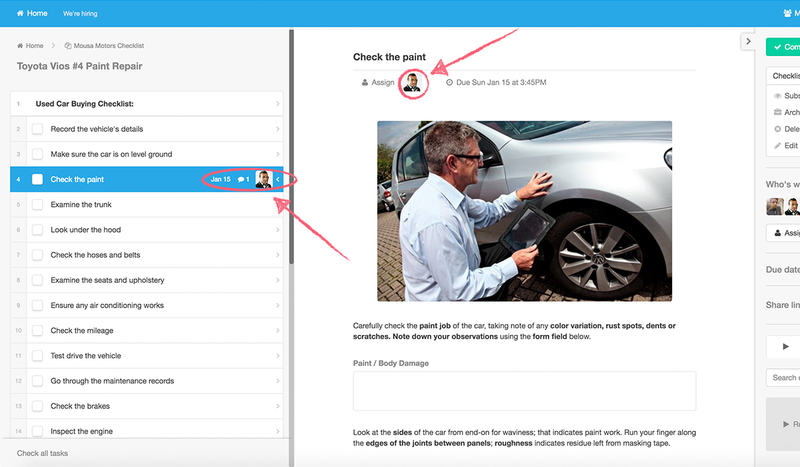 Looking to the top of your open task, you will see two buttons – “Assign” and “Due date”. Click the “Assign” button, search for who you want to assign, then click their entry to assign them. This will send an email to James to let him know that he needs to work on that task – if you set a due date for the task with the “Due date” button then he’ll also be sent an email when the task is due. You can see who is assigned to a task by their portrait showing on the task menu and at the top of the task they’re assigned to. You can see a spreadsheet-style overview of all of the checklists you’ve run from a template by using the template overview tab. 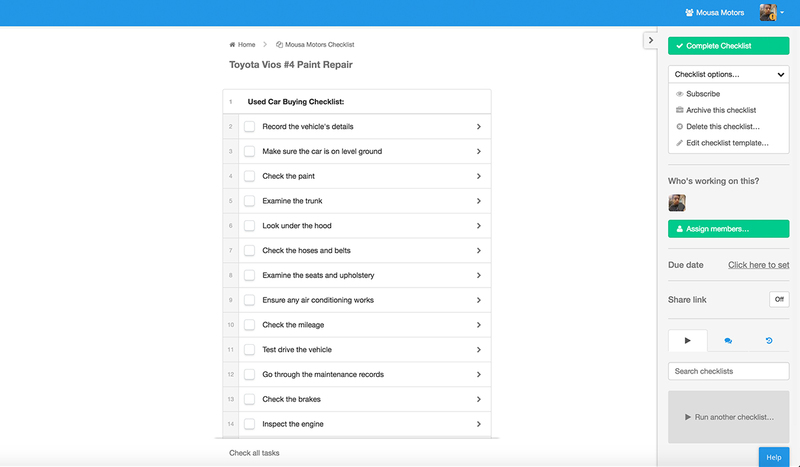 This is a great way to quickly see what tasks have been completed, what you’re waiting on, what form fields have been filled in, and more across every checklist you’ve run. … then click on “Overview” in the top left of your view (just below the “Home” button). From here you can view completed, in-progress, and/or archived checklists, see which tasks have been ticked off, resize columns, hide columns, and much more. And there you have it. This quick-start guide has run through creating your account, inviting your team, creating a process and collaborating over it with others. It’s the very basics, and once you’ve got this down you’ll start to discover the power of Process Street.